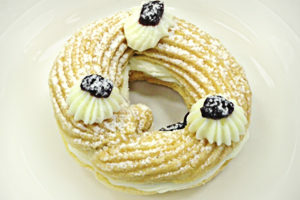 Mr. Ventola was one of the first to introduce this traditional Italian specialty for St. Joseph’s Day to Toronto. This lightly fried puff filled with vanilla custard and amarena is made from only the freshest ingredients in-house following Mr. Ventola’s original recipe. But enjoy them while you can – zeppole are available daily from mid-January to April ONLY.